Often, once families begin to think through choosing a school, priorities emerge. These might include proximity, available transportation, academic results, school size, extracurriculars, and school community. This list of priorities is personal for each family. After the family has a general sense for what they’re looking for, they can both talk to other families they know who value those same things and can also visit DPS’ school finder page to explore potential schools. You can also view a list of all DPS schools using their enrollment guide. You can look at each school’s performance and their programs to determine which schools will best support your child on the DPS’ School Performance Framework. Schools throughout Denver offer opportunities to talk with their faculty and to see their school in action, prior to enrollment At DSST, we offer both tours and open houses (Interested? Sign up here!) which are great opportunities to see our campuses and ask questions of our students and staff. Before visiting a school, it’s worthwhile to do some online research to better understand each schools' curriculum and unique qualities. You can check out our “Why DSST?” page here , to learn more about all of our schools. Alternatively, you can learn more about individual DSST schools here. DPS operates on a choice system, meaning families have choices and aren’t trapped into sending their student to a pre-selected school. 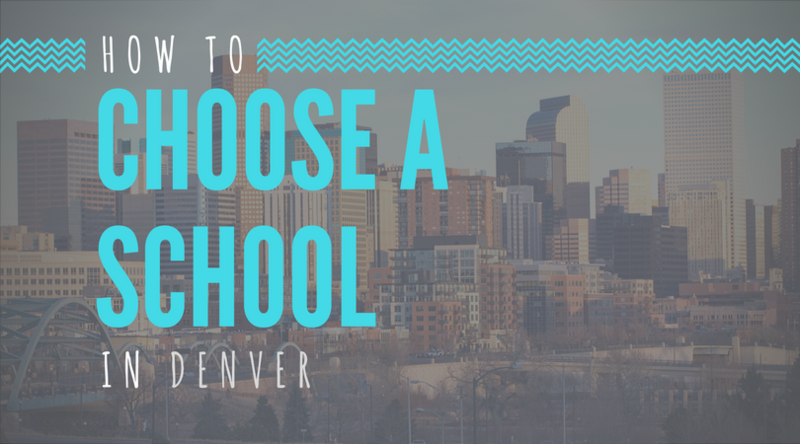 In fact, each family can select up to 12 schools in priority order as part of the School Choice process, regardless of where the school is located in Denver. All students are entered into a lottery once they’ve submitted their choices, and while there are no guarantees, the vast majority of families get one of their top choices. It’s important to consider not just your child’s top choice, but other great options as well, in the case that they are not placed at their top school. Families can submit their choices to DPS online from January 15th to February 15th, 2019. Families can also familiarize themselves with other specific placement rules, such as Enrollment Zones and sibling prioritization, by reading DPS’ Enrollment Guide. You can both learn more and participate in the School Choice process here. It takes DPS a few weeks to run the lottery, double check results, and ultimately inform families of their placements. Typicall,y families are informed of their placements in late March or April. After this, the next phase of the choice process beings, called Round 2. During this period, families that are placed on waitlists are able to evaluate their options and choice into another school. This is done in schools, unlike Round 1, and spots are filled on a first-come, first-served basis..